I am new to the "Dark City" forums and I'd like to share how exciting it is to have found this place through a google image search. Anyways I want to begin crafting tables that are set in Commorragh itself. While I'm sure this has been posted before, being new I wanted to kind of use this opportunity to break the lurking ice so to speak as well as see if anyone could help guide me into bringing the dark city to life on my home battlefield. I'm open to creating anything using most methods, however I can't afford a CnC machine nor a 3D printer so I'm looking for guidance specifically geared towards crafting Dark Eldar structures and an environment that would reflect the dark city. Thank you, I appreciate any help or ideas you all can offer! - Lock your workshop after hours. Use painful protection. - Do not aspire too low lest you will end up as Grotesque. - For your own safety use only the lockers and restrooms of your cabal/coven/cult. - Make at least as many living beings suffer as there are members of your group every day. - Always look like we are the masters of surprise assaults, Raven Guard, Skyhammer and others are just crude efforts we dont even try to emulate. I've seen some companies produce DE structures in laser-cut mdf. This is the cheapest way to buy terrain. Probably the cheapest way to build it too if you can get a good router or figure out a cheap way to get your stuff laser cut. Gonna require a lot of building. Maybe recruit some friends to help? DE structures are kinda weird. 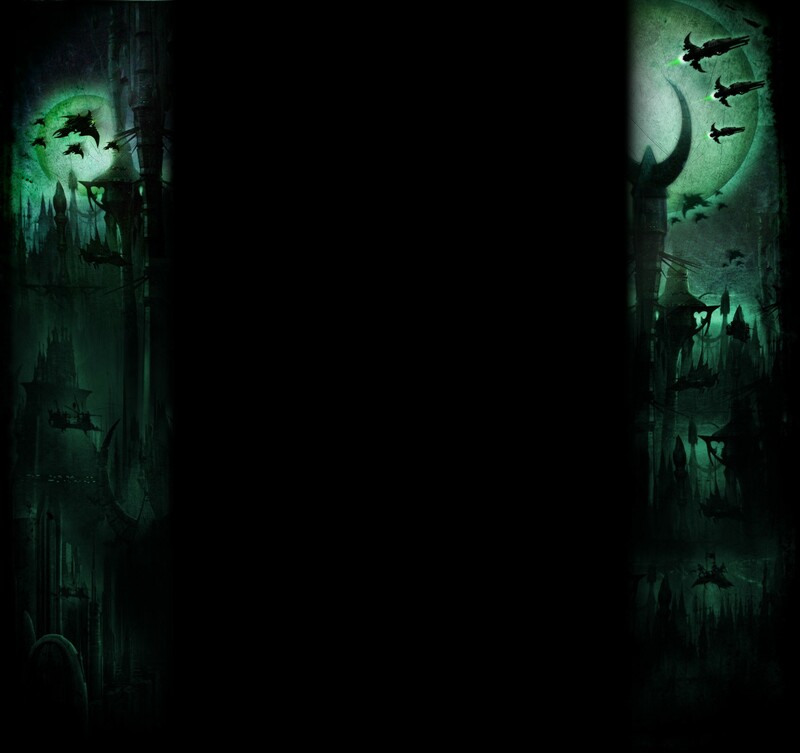 The Dark City is just a bunch of towers floating in a pocket dimension, each tower ranging from the size of a regular building to the size of a small moon. Most DE structures I have seen by 3ed parties tend to follow the astetics of our Ravager sponsons (gentle curves, with spikes on the edges). Thank you very much for the welcome, and the replies! Laser cutting and 3D printing are kind of where I think I'm going to have to go, however I wanted to see if anyone had tried creating this type of scenery by hand. This appears to not be the case. So, I'm going to take a look at the few images of Commorragh that are floating around out there and try to create some concepts. Essentially I want a table that details the inside of a Kabal palace (of course not the whole thing, but where the fight takes place ;D). I also have plans for a River Khaides map, a space port, and a streetway. Another one that is in the works is a Wych cult arena, but I want to design some of the buildings first and essentially follow a Greek Colosseum model but with Dark Eldar structures. At this point I'm between using an art program or a CAD design program to create the scenery. This is because CAD can actually offer me precise measurements on the actual dimensions of the finished product, but Art programs tend to be more flexible and may include these types of tools and I'm simply not aware of it. Any recommendations one way or the other?